Rapid Casting and its various techniques has fast become an indispensable part of modern manufacturing. Developments in rapid casting are the result of shorter lead-time demands just as increasingly shorter lead-time demands are the result of rapid casting. This cyclical relationship has meant that the exciting developments and evolution of rapid casting techniques is truly enduring. 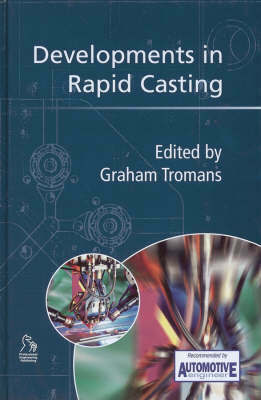 This important publication highlights the most up-to-date developments in rapid casting from academia and industry alike. Contributions from authoritative authors come together to form this comprehensive collection of discussions and case studies.